Shutters the supreme standrad of interior | SHUTTERS mean internal wooden window shutters made of four various type of wood consisting of one or greater number of panels. You want a perfectly made interior shutters Shutters? 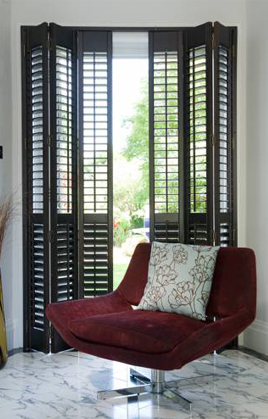 We offer several models of internal shutters perfect for use in your home. Meet shapes our shutters shutters and choose the solution for themselves. We offer a full range of colors shutters shutters available in our wide range. Click to select. Learn how our team can handle the installation of shutters inside your home. SHUTTERS mean internal wooden window shutters made of four various type of wood consisting of one or greater number of panels. One panel constitutes a frame with a vertical louvers, this is a construction of narrow and long boards inclined at the angle to each other, are installed. SHUTTERS can be opened, assembled or shifted. Adjustable inclination angle of slats allows for a control of light. Internal shutters are innovative cover products of long-lasting application. It has positive influence on interior stylistics and determine the highest taste. Window shutters with adjustable louvers provides extraordinary feeling of privacy and proper air conditioning, unique play of light in housing spaces. Wooden shutters Vancouver - made of wood Red Cedar. Wooden shutters Portland - teak wooden shutters. Phoenix - made of teak wood. Wooden shutters Boston - made of wood Lipa. Wooden shutters Seattle - made of wood composites. Wooden shutters Hollywood - are made of wood composites. Our "Just better" shutters have exceptional, new, simple style which can integrate both with modern and traditional interiors. Our shutters are formed with four various wood materials. They are manufactured in a precise way, finished with materials resistant to sunshine effect and provide prolonged failure-free operation. Our success and strength is constructed on the innovation basis, quality and protection. We are aware that our future depend on responsible management of earth resources, we ensure that material used for shutters production is fully ecological. This is the investment in survival skills and longevity of our products. First, do the estimation of purchase cost of shutters through providing dimensions of windows or doors for quick evaluation. Afterwards, we organize a meeting. In our sales salon you can choose a design, color and get an advise considering a project. The visit of our technical and trade advisor is also possible and on the basis of mobile exhibition we present the offer and take production measurement. After the evaluation within the period of 8 to 12 weeks is carried out a professional assembly is done in the following step. 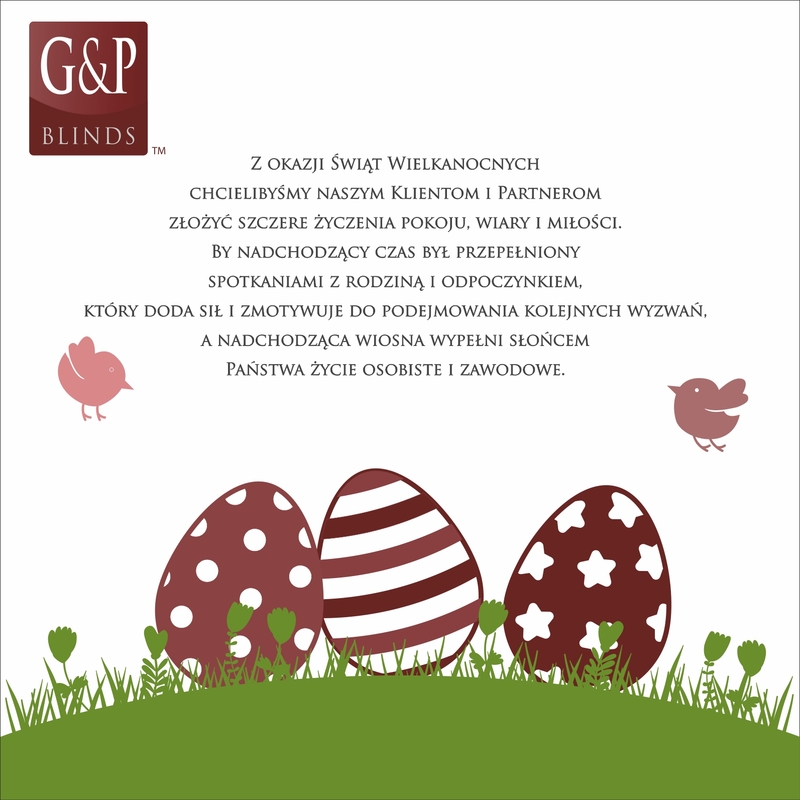 G&P Blinds supports both businesses and individuals. We supply our products, customers from Sulejowek, Warsaw and throughout the province Mazowiecki. Above it at the request we arrive also in other places throughout the country. We encourage you to cooperate.